2. What is content marketing ROI all about? Do you feel like nobody out there gets it why it’s worth to invest in content marketing? Or perhaps you continuously need to justify your content marketing strategy to executives who ask you to prove that it all makes sense? Don’t worry; we’ve all been there. Since content marketing doesn’t bring results immediately, it’s often brushed off as a technique that doesn’t work as a sure bet. It’s true – for content marketing to deliver tangible results, you need to invest time and resources in it. 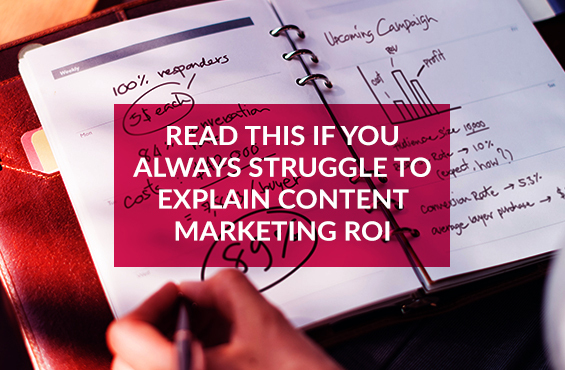 Also, explaining the details and ROI of content marketing can be difficult. But if you want to win the support of others, you need to learn how to explain that persuasively and convincingly. If that’s one of your main struggles, we’ve got you covered. Here are 5 tips to help you explain the value of content marketing to executives and win buy-in. First things first, you need to define content marketing in a way that executives understand. You can’t start explaining the why without making sure that they know what content marketing is all about and how it helps brands achieve their goals. That’s where you can use metaphors to help executives become familiar with concepts they don’t know. For example, you can say that content marketing is the vehicle and content marketing strategy is its engine. The vehicle takes you to your destination of choice but only if the engine is in good shape. For instance, if one of your critical goals for the next quarter is increasing the organic traffic to your website, you can treat that as your destination. However, to reach that place, you need to equip your vehicle with the best possible engine – or, the best-formulated content marketing strategy. Your strategy might be based on posting blog posts that target keywords used by your audience. The content itself will act as your vehicle. Use metaphors executives will understand to help them see how content marketing works. If you explain it well, you’ll be on your way to capturing the strategy’s ROI. At this point, you need to leave your metaphors aside and start speaking the language of executives. To drive your point home and show the potential of content marketing, you need to give them real-life examples of what content marketing can do to businesses. No business leader will invest in something until they know what kind of results they can expect from the implementation of the strategy. However, avoid putting all the examples together and placing them in front of business people. Remember they have particular interests, so choose your examples wisely and present them with the most appealing case studies on the basis of their goals and the roles they perform. The next step is convincing executives that it’s possible to capture the ROI of a content marketing strategy in hard numbers. For example, you can offer them a model for predicting the kind of payoff they can expect from the initial investment. Let’s say that your content marketing strategy ultimately aims to increase traffic to your website, convert traffic into quality leads, and then translate leads into actual sales. Conversions that come from the foundation build with content marketing offer you a basic metric for determining whether your strategy is successful or not. Quantifying conversions in terms of their potential for sales is a smart step towards predicting the ROI from the investment. To justify your current strategy, you might already have some numbers on your hands that you can use. However, if you’re aiming at an initial buy-in, you need to make some assumptions here. You can use existing data from research studies that will help you strengthen your predictions. Make sure that the data you come up with is specific to your goals and industry. For example, this study revealed that the average rate of SEO leads to sales conversions is 14.6%. In comparison to print ads and other marketing tactics that are around the rate of 1.7%, this is a good argument. 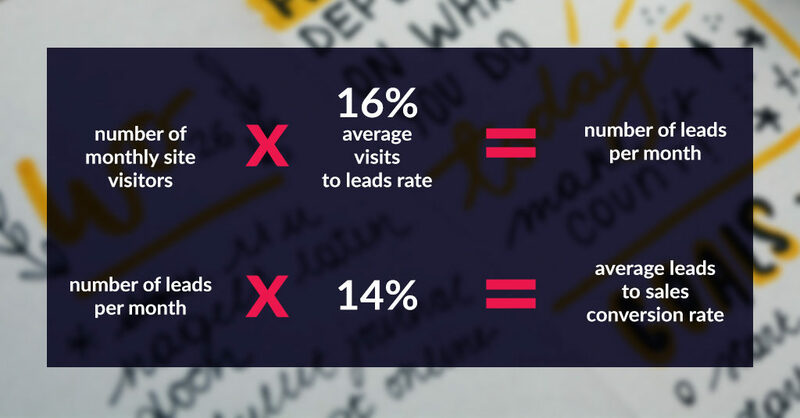 By putting these figures together, you’ll be able to show the potential rate of quality leads and sales from your strategy. At this point, it’s a good idea to offer an explicit ROI formula that will be used in your project to determine whether it’s going in the right direction. You need to estimate earned leads per month. Multiply the number of monthly site visitors by 16% (average visits to leads rate), and that will equal your number of leads per month. Then you can estimate sales per month from these leads by multiplying them by 14% which is your average leads to sales conversion rate. You will get the number of sales per month. All it takes is using your traffic numbers to do this calculation. If you’re taking advantage of such assumptions in your formula, be upfront about them but also show that content marketing ROI is based on hard data. Once you have some real numbers to work with, you’ll be able to find a model to fit your example. 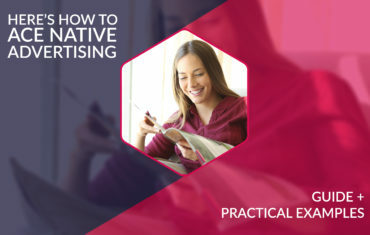 Finally, it’s worth showing executives that content marketing is one of the most rewarding marketing tactics out there. Make sure that your argument works by comparing different investments in marketing and showing how content marketing comes out on top. First, estimate the investment required for content marketing. Then you need to explain what your organization will get in return. For example, you can invest in creating content that will focus on a number of high-performing keywords for your brand and position the content high in Google results for at least two-thirds of your targeted keywords within the next year. According to data from Ignite Visibility, every keyword that achieves the top three position will have a volume of 1500 visits per month and the click-through rate of 13.14%. 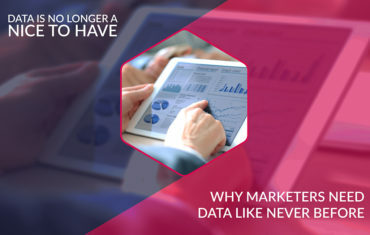 You can show that type of data right next to the paid search strategies that achieve similar results in a shorter time frame, but with much more expenses involved. If you put it this way and state that a content marketing strategy is in fact 10 times cheaper than the paid marketing strategy, executives will find it convincing. 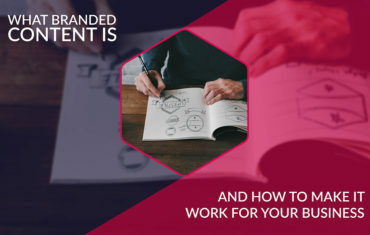 When explaining content marketing to executives, be sure to define it and show them how it works by presenting convincing examples from other companies. Come up with a winning ROI formula and compare investment numbers with different marketing strategies to demonstrate that content marketing is the best strategy for investment. Do you often find it problematic to explain the value of content marketing to your bosses? Or perhaps you have other strategies up your sleeve that could work here? Share your thoughts in comments to start a conversation about communicating the value of content marketing to business executives.